It is I, the ghost of interactive entertainment, come to bestow upon you ten great warnings from the history of videogames. These aren’t the sequels you’re constantly thinking about – you’ll see no reference to Valve’s inability to count to three here, nor Bethesda’s next big open world – but the smaller, less renowned or basically crap cancellations we’re probably all actually better off without. 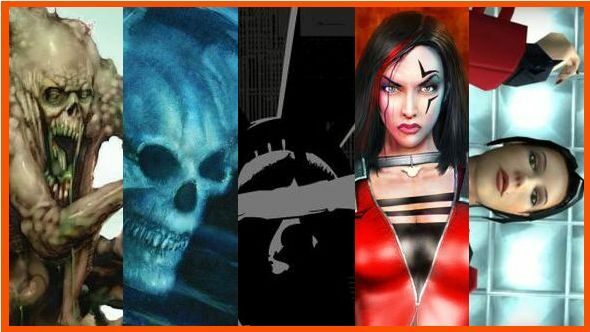 Take my icy hand as I guide you through the cancelled sequels no-one mourned, and learn something about your own life, somehow. For what’s actually happening, check our list of upcoming PC games. Physics! Health stations! The Source engine! 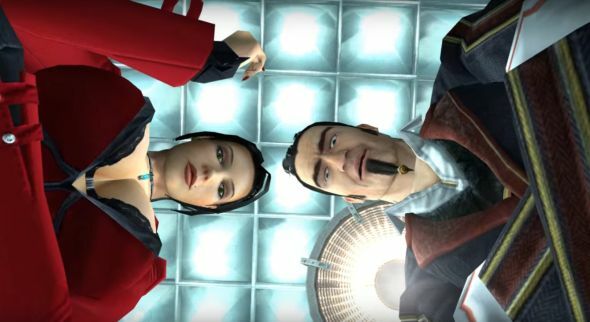 SiN: Episodes had everything it needed to be Half-Life 3, right up to and including unsuccessful episodic releases. Ten years ago it seemed a genius idea – large games released in smaller parts to fund their own development. Episode one, Emergence, even came out and received reasonable reviews from fans and critics. A dynamic difficulty system was a big draw, and developers Ritual Entertainment claimed it was so effective that they got an FPS pro and a total noobie to start and finish at the same time. Ten and a half years later, that second episode – originally suggested to be no more than 3-6 months out – is nowhere to be found. It never received a name and Ritual are long-since dead, bought out by a casual game developer in early 2007 and, seemingly, silently killed off at some point since. Presumably, MumboJumbo still own the rights to SiN, Blade and Elexis Sinclaire. The exact same idea seems like it would probably go down quite well today, especially via Kickstarter – maybe there’s hope. Yeowch, that’s some pure 2006. Here’s a finance tip: don’t pay for a fetish model to cosplay your villain unless you’re absolutely sure you’re going to make your money back. Not everything here was a victim of cancellation. Indeed, UT2k5/6/7 eventually morphed into Unreal Tournament 3. However, that involved a significant change in basically everything – from adding a proper-but-poor campaign to new game modes and hoverboards. Reception was varied, to say the least. 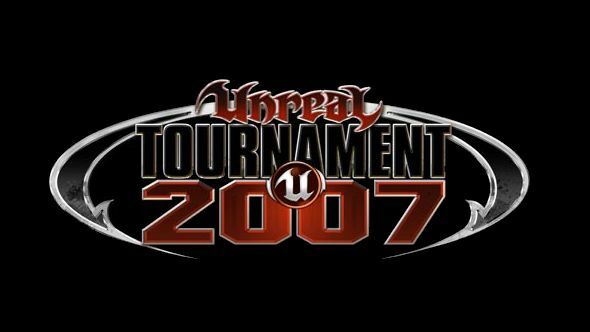 However, the promise of UT2k5, coming after Unreal Tournament 2004 and 2003, was quite different. Think of it: a yearly arena shooter, updated like FIFA. The same base game, with an ever-developing pro-scene, but tweaked and added upon regularly. The engine slowly creaks under the weight of new code until it has to be remade, new modes, guns and maps are deployed yearly – it’s basically the model of modern, F2P eSports. Whether that’s how it would have resolved even if Epic had managed to get it out in 2005, or delayed it into 2006, we don’t know. The new Unreal Tournament continues development in a very similar manner, helped along with a free price tag as so many are now. But the potential for all this to happen a decade ago, and be a tad different, was there and unexploited. And that’s with an idiot like me playing against bots. Exactly. Exactly. Alright, this one’s a tad personal. Massive Entertainment are having rather a good year with The Division and its monumentally successful launch, dodgy middle andcontinued support. Long before all of this, however, Massive made some of the best real-time-tactics games ever. Many talk of World in Conflict, because they love tanks and hate space, but Ground Control was a real masterpiece. Two games and an expansion make up the series so far, each having one thing in common – humongous single-player campaigns that end in painfully dramatic cliffhangers. The original game finished with most of the antagonists alive and well, if defeated, while the heroes are stuck on a desolate alien planet. 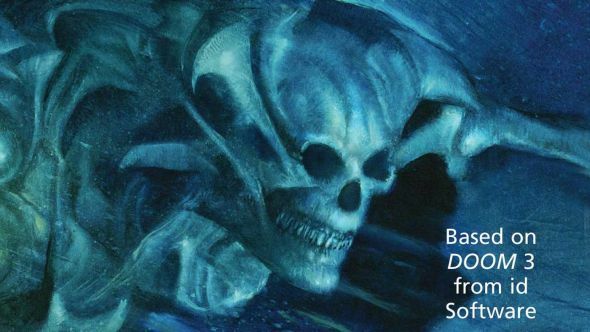 In the Dark Conspiracy expansion, well,Wikipediadescribes the final scene using the word “mysterious” three separate times. Yeah. Flash forward 350 in-game years to Ground Control 2 and none of that is ever explained, even once it’s finished. The campaign ends with, you can probably guess most of this, all the heroes save the main character boarding a ship to hyper-jump to another galaxy, while Captain Angelus (just one of a cast that includes the traitorous General Warhurst and evil Imperator Vlaana Azleea, while we’re playing the name-game) is left to rot on an invaded planet. Oh, and there were some aliens called Virons. Yes, I’m still mad. Ground Control 2 is absolutely brilliant, as the voice acting in the above ending cinematic totally fails to prove. It’s got incredible art direction, beautiful units, great combat, some unique no-base-building game design and is generally spectacular. 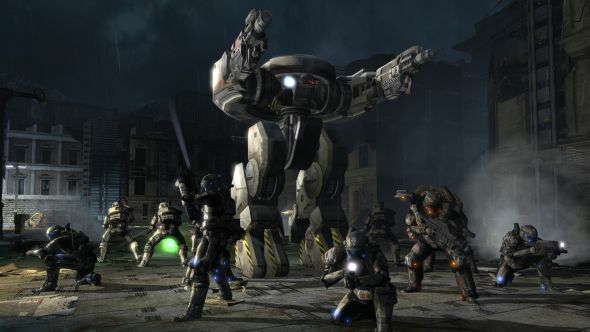 It was so clearly on track for an expansion or sequel that one of its three factions wasn’t even playable in the base game – the fire-focused Terran forces never made a controllable appearance in campaign or multiplayer. After a complex series of dealings between Ubisoft, Activision, Blizzard, Vivendi and Massive, British publisher and developer of the Sniper Elite series Rebellion Entertainment bought the rights and reconfirmed to us that they still own them. They’ve not done much with it beyond putting the games on Steam so far. More to follow? Especially now Rebellion is in the remastering biz? A little less PC-focused, this one, but it comes around in the end. Heavenly Sword was an alright-to-good Playstation exclusive made by the UK-based Ninja Theory. It featured a redhead with an exceptionally large blade, a bad guy voiced by Andy Serkis, and a whole trilogy was planned. It never happened, even though the sequels were already written.. 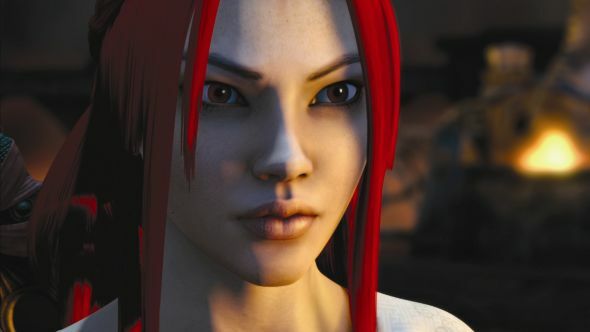 Despite reasonable reviews, Heavenly Sword had strong competition from one of the best years on record in 2007, and didn’t manage to attract the God of War crowd it was somewhat pitched at. According to interviews at the time, it didn’t break even despite 1.5 million sales. It’s a happy ending, however – after the odd Enslaved: Odyssey to the West, Ninja Theory went on to develop the fantastic DmC reboot. Those titles brought them nicely to our platform, and now they’re working on Hellblade: Senua’s Sacrifice, which not-accidentally recalls Heavenly Sword in name if not in style. It looks ace and will be out in 2017. Meanwhile, Heavenly Sword turned into an animated movie. On to something we can all probably be happy never came to pass. Rainbow Six is having a good time of it at the moment too, quietly developing an eSports scene and managing to maintain – even grow – active player counts over its lifetime. That’s all thanks to Siege, the project that evolved out of Patriots. Patriots was going to be, uh, different. I’m a long-time defender of quick-time events, but ‘square to kiss wife’ will never stop being amazing. As pointed out in the trailer itself, that target footage was released in response to worries over a leak, despite the game being over two years away at the time. Even before the Fallout 4 short-lead reveal went into mass deployment, that was way ahead of schedule. 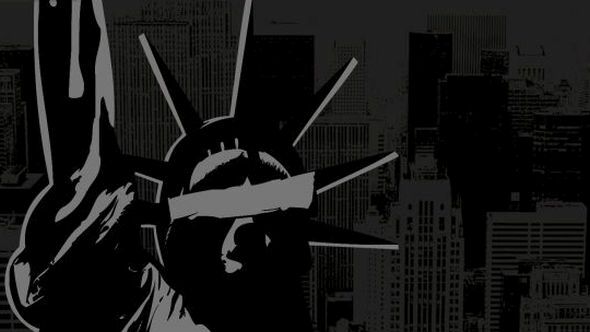 It was supposed to be edgier, grittier, and focused on the financial collapse, with the ‘True Patriot’ terrorist group deciding to bring justice to bankers, businessmen and besuited bad guys everywhere. Moral grey areas were to be explored – like, for example, pushing reluctant suicide bombers off bridges. Grey. After that trailer, we basically never heard anything else. The development team was shuffled repeatedly, key staff were moved on or left, while the game struggled in the blank period between last-gen and current-gen games. It eventually morphed into Siege, and we’re all the better for it. For a little while there, a game that came without a novelised retelling or prequel was rarer than somebody with a reasonable opinion about No Man’s Sky. Hell, it went as far as half of EA’s releases coming with their own anime movie (Dead Space: Downfall is actually quite good, thank you very much). Doom 3, for some reason, was no exception. It was planned as a trilogy, and I’ve read the first part. It’s not as bad as you’re thinking, but doesn’t quite hold up to the absolute masterpieces that are the four novelisations of the original game. Doom 3: Worlds on Fire even follows the vague plot of Knee Deep In The Dead, with Doomguy John Kane being sent to Mars after an act of insubordination. The second, Maelstrom, picks up the plot around halfway through the game and takes it to the end. A third was planned but never released, and author Matthew Costello got on with writing the script of Rage, its tie-in novelisation, and the first two Just Cause games. It’s difficult to be sad about the lack of a third, almost entirely pointless book. That said, it would have taken the plot beyond what was seen in the game, as the third original Doom novel did. That’s when things started to get a tad wacky back in ‘95, with the alien race of demons being dubbed Fred and a whole other group of cosmic baddies about to show up. Basically, we lost out on what could have been the single dumbest videogame tie-in series of all time. Mourn if you like. This is perhaps a bit more speculative. Call of Duty went through quite a dark time in the early 2010s. Infinity Ward’s magic lost to Respawn, Treyarch trying their best to take the helm and Sledgehammer still gearing up for the pretty-alright Advanced Warfare, Ghosts was 2013’s entry – and it was terrible. Easily the worst-rated Call of Duty by fans, critics and haters alike, it’s swept under the rug whenever the series is brought up like a particularly profitable pile of dust. But Activision don’t fund these things for a laugh. 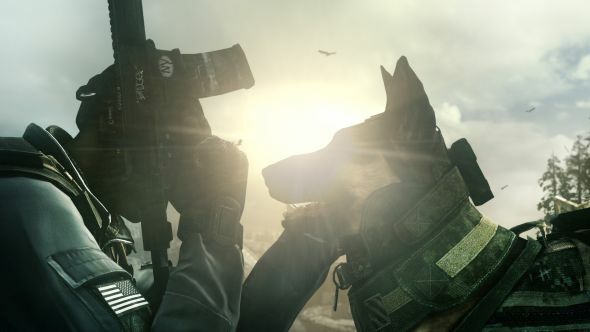 Between Riley the dog (spoilers) actually surviving the campaign and a cliffhanger ending, plus this being Infinity Ward’s first post-Modern Warfare project, they clearly weren’t done. A whole new timeline was created for Ghosts, now abandoned in favour of warfares of the Infinite, Advanced or Black Ops variety. I say all this. Just wait for E3, when Activision try the ultimate fight back against poor brand recognition by announcing Ghosts 2 – Treyarch do need a new project unless they want to make a Black Ops 4. At least one SEO genius will be ready and raring to go. I’ve always wanted more arms. Beyond that video, one other and a few bits of concept art from a finished internal design doc, Computer Artworks didn’t get too far along. The plan was for enemies to be deadlier and life to be harder, with “burstouts” like what you see above proving quite challenging to implement back in 2002. All that geometry was to be built up inside various models, and would explode out at the right time. They’d also evolve. At least that was the plan, never to be realised. Rights likely live with Universal Studios, who produced the ill-received 2011 movie remake. You can see more of the plans for The Thing II on this wiki. Oh, the world of XCOM games that almost was. 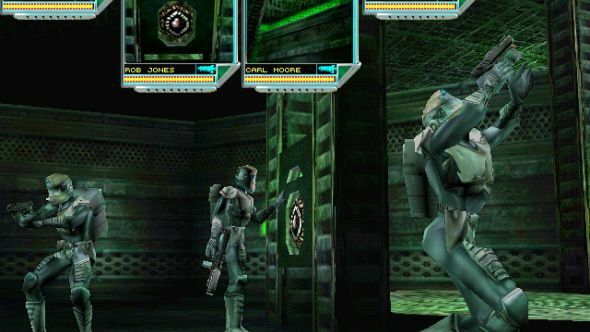 Along with the original vision of Apocalypse that eventually became the flawed gem we received, Alliance and Genesis were two further XCOM projects lost in the Microprose/Infogrames/Hasbro ‘00s implosion. Genesis was the closest to a traditional XCOM game, being a real-time version of the squad-based tactical incursions and outmatched soldiers. It was in development for a good 18 months before being shut down, with the team absolutely terrified they were going to mess it up by going real-time, and developing everything with ways to revert to turn-based if needed. Then there’s Enforcer. Enforcer is what we got instead. A third-person shooter about a robot with a variety of powerful weaponry, it deserves the XCOM stamp about as much as a desk fan and provides roughly the same amount of fun. Had it not brought the whole franchise crashing down around it, we probably would have gotten a sequel and been dragged straight into hell by its pure awfulness. 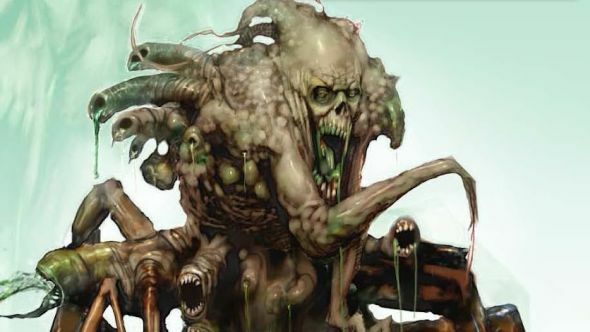 The reason you shouldn’t be cripplingly sad about all this, other than the fact you’re not being forced to play a Cruise Terror Mission with Beelzebub for the rest of eternity, is it indirectly all lead to the XCOM: Enemy Unknown reboot by Firaxis. That got us XCOM 2, one of the best games of the year, and hours of entertainment. Hooray! Oh, the Command & Conquer franchise. We’re sorry, okay? We’re so sorry. 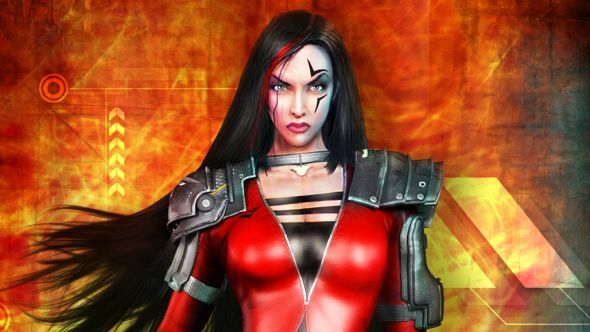 It should have all stopped at Red Alert 2’s weirdly sexual series of climaxes – in their defense it does get cold in Russia – and everything else forgotten about. Instead, the shutdown of Westwood, a raft of sequels, and not nearly enough Joseph Kucan. C&C: Tiberium is one of many cancelled projects along the way. An FPS with tactical elements, akin to the much-loved if flawed Renegade, it would take place slightly after the events of Command & Conquer 3. You’d control a squad from first-person, fighting against Nod and Scrin forces as part of a second alien invasion. Like a couple of other entries here, it follows the formula of popular franchise from a less popular genre attempts to be something else, often an FPS. The worst part about these ideas is they should work – like StarCraft: Ghost, the idea of just seeing those worlds from a different angle is exciting for fans, and everyone else will get on board if the game is good enough. My word, that is still so painful to watch. EA still hold C&C, with a couple of online casual games in place to generate a bit of revenue. They’re almost certainly working on something – let’s hope it’s worth the wait. Right, that’s your lot – what did we miss? Nothing too obvious now, give us the ones not everyone brings up in the comments below.